An assembly of local deputies in Kharkov, eastern Ukraine have stated their intention to restore “constitutional order” throughout the country, aiming to create an alternative government. “We, the local authorities of all levels, the Supreme Council of the Autonomous Republic of Crimea, Sevastopol region decided to take responsibility for ensuring the constitutional order and the rights of citizens on their territory,” said the resolution approved by more than 3,000 deputies from local councils in the southern and eastern regions of the country – most of whom represent Yanukovich's Party of Regions and its communist coalition partners. 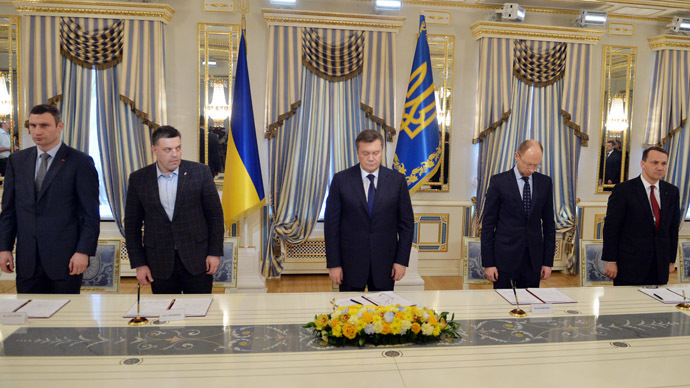 According to the resolution, local authorities should no longer accept any edicts from Kiev for the time being. Instead, they should resort to self-administration until the crisis is resolved. Officials also intend to protect arms depots, preventing radical opposition activists from looting and staging the takeover of such venues. Citizens are encouraged to form local militias to protect public order. Local authorities are to fund and support those militias. The deputies criticized the resolutions that have been speedily passed in parliament over the past few days, which culminated in the stripping of Viktor Yanukovich's powers and the release of former Prime Minister Yulia Tymoshenko. More than 10,000 Yanukovich loyalists assembled at the Sports Palace of Ukraine’s second-largest city. 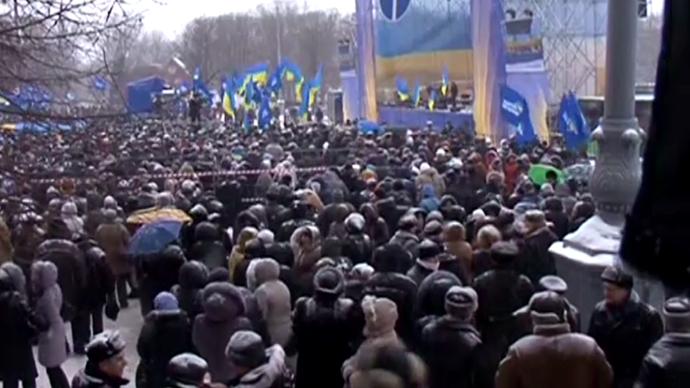 “3, 477 deputies from local councils in southeastern Ukraine have gathered. 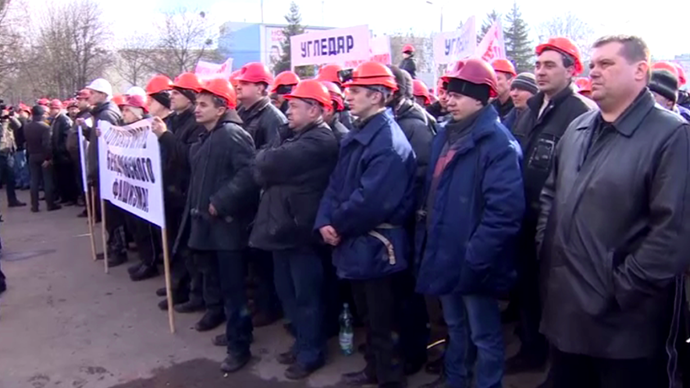 We have gathered here not to separate the country, but to save it,” regional Governor Mikhail Dobkin told the crowd. "My colleagues and I have been personally threatened. But today we have gathered to change the situation,” he said. Russia sent several officials in the capacity of observers to the gathering, including the head of the Russian parliamentary commission on foreign affairs, Aleksey Pushkov, as well as Pushkov's counterpart in the Russian Federation Council, Mikhail Markelov. The upper chamber of parliament and several governors from eastern Russian regions were also in attendance. “The decisions taken here are positive and concrete. What is important is that everything voiced here was implemented in the interests of the Ukrainian people and the entire Ukraine. What Ukraine needs now is common sense and a survival instinct,” Evgeny Savchenko, governor of Russia’s Belgorod region, which borders Ukraine, said. 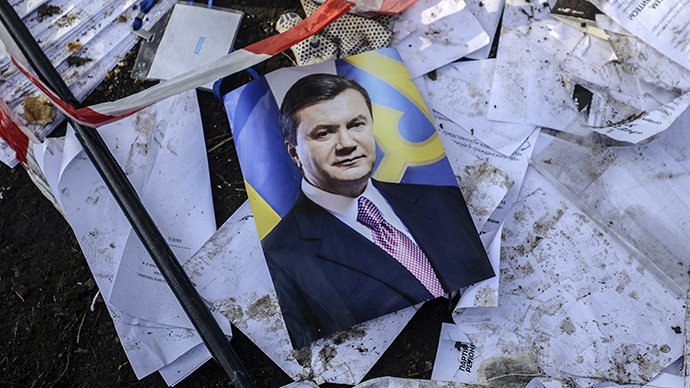 The creation of an alternative power base – if the new resolutions become the government's foundation – is a logical next step in a Ukraine that remains deeply divided. The eastern and southern parts of the country, where about half of Ukraine's 45 million citizens live, uses Russian – not Ukrainian – as its everyday language, is more wary of ties with Europe, and votes for more left-wing parties than the west of the country. It is also the industrial base of the country, with legacy mining and metals industries left from Soviet times. All of the country’s sea ports are also in the region. 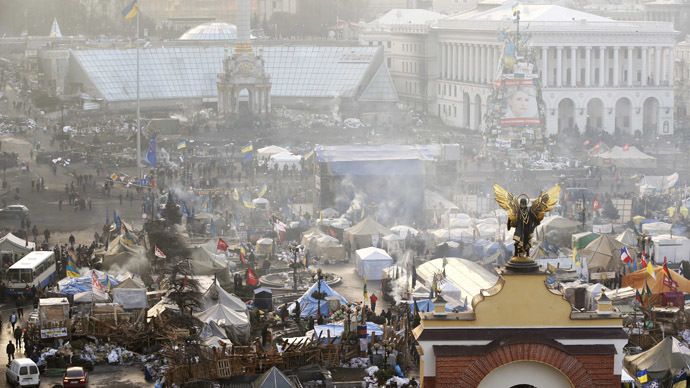 Kiev is now fully under the opposition’s political control. The quorum in the Rada has circumvented usual constitutional procedures to appoint a new cabinet and amend the constitution. 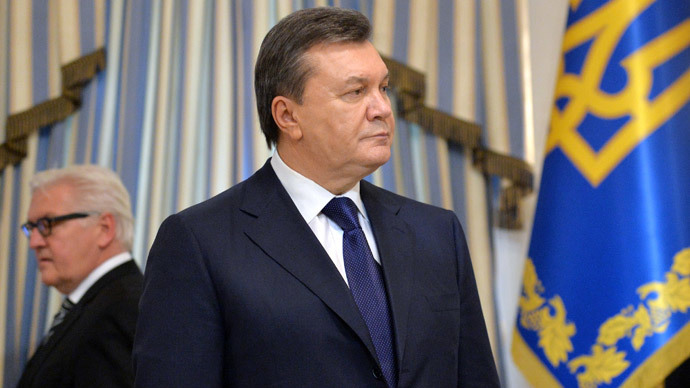 It has removed Viktor Yanukovich from his post for failing to perform his duties after he left Kiev, though the politician says he is still president and has no plans to resign. The Rada has also scheduled a presidential election for May 25.